Gold Glitter Trophy Blazer is rated 2.5 out of 5 by 2. Be bang on-trend this season with this Gold Glitter Military Blazer. This jacket will take you straight to the party this season. 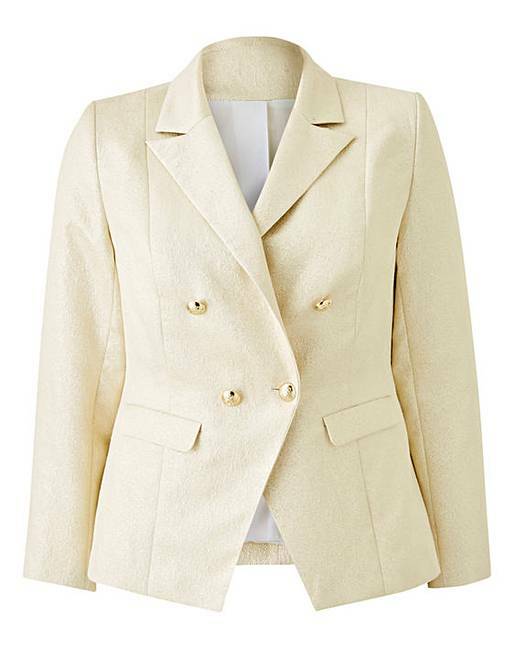 Wear this statement blazer with a pair of jeans or a smart trouser for the ultimate party look. 50% Polyester, 36% Cotton, 14% Metallic. Lining: Polyester. Rated 2 out of 5 by Ishi from Cheap looking I returned this as it was very short in length and was very gold unlike the picture. The fabric was cheap looking and wasn’t worth the price.